Wrestling is the most important martial art of all mixed martial arts for a number of reasons. Throughout the sport of MMA, numerous disciplines of martial arts combine inside a cage while thousands of fighters train to mesh a variety of styles into one mold. Wrestling though is the most important part of MMA. It’s the foundation of fighting and translates to other disciplines the smoothest. Wrestlers have found great success against opponents of all styles, compared to Judo, which struggles verse boxers, and strikers struggle when facing wrestlers. Six of the eight Ultimate Fighting Championship weight class champions have a background in wrestling and three of the six current Bellator MMA champions have a wrestling pedigree. The stand-up game is where every martial art discipline begins. Whether it is MMA, Karate, kickboxing, boxing, Wrestling, or Brazilian Jiu-Jitsu, it all starts standing. Within MMA, wrestlers are the most equipped athletes to transition from their feet to the canvas. Wrestling takedowns are the most effective means of bringing another athlete to the mat. Think about it, there are three styles of wrestling in the world. Folkstyle wrestling is what you see in NCAA wrestling in the UnitedStates. Freestyle and Greco Roman wrestling are the types if wrestling styles you’ll see on the world stage, example; the Summer Olympics. All three styles have takedowns that can be utilized within MMA. Greco Roman has a variety of grips and takedowns from the clinch, which is a position many Muay Thai fighters like to bring their opponent to land knees and elbows. Over 80 minutes of wrestling condensed to 18 minutes of action! If you missed out here’s your chance to cath up! Freestyle and Folkstyle wrestling provide a plethora of takedowns from multiple positions. Fighters use foot-sweeps, single leg, double leg, drags, front headlocks and body lock’s to drag their opponents down. Fighters like Dan Cormier, Ben Askren, Sarah McMann (Silver Medal at 2004 Athens Games), and Yoel Romero (Romero a Silver Medalist, 2000 Sydney Games), are all former Olympic wrestlers that rely heavily on their wrestling pedigree. All four Olympic wrestlers turned MMA athlete utilize a variety of takedowns to drag their opponents to the canvas. Cormier, the UFC light heavyweight champion is known for his single leg attacks and lifts to slams against his foes. Askren is a fighter that loved singles and doubles to take his enemies down where they wouldn’t be able to escape one tossed to the cage floor. What I personally loved about Askren is the way he went about it. He informed every one of his intentions though no one had the ability to stop him. I honestly think, Askren is the greatest grappler in all of MMA and the UFC were fools for never bringing him over to the octagon. Go to http://www.bjjscout.com for more BJJ breakdowns/news My Patreon: https://www.patreon.com/bjjscout Add me on FB: https://www.facebook.com/bjjscout Follow me on Twitter: https://twitter.com/bjjscout Mini Breakdowns at: http://instagram.com/bjjscout# Join my MMA/BJJ chat community: https://hashtagjack.herokuapp.com/ For my “banned” MMA studies: http://www.dailymotion.com/bjjscout Help translate my studies! http://www.youtube.com/timedtext_cs_panel?tab=2&c=UCxfojO_vFixa73v2M7OP-Lw Make BJJ Mindmaps! Daniel Cormier Takedown Highlight Please like and share Music: Volbeat – A Warrior’s Call New software so I’m still learning it. havent had a computer for about the last ~8 months so I’ll hopefully get more videos out. Jon Jones and Chris Weidman are also fighters with a high-level wrestling pedigree. These two fighters utilize their long limbs to their advantage and incorporate foot-sweeps, throws, and inside trips. Inside trips have become a technique fight fans see on the regular now with the success of the attempt and the full-guard position it leaves the offensive wrestler in. Wrestlers can bring a fight to the canvas from any position while standing up. Beware of tieing up with a wrestler! While wrestling on your feet, attempting takedowns straight on makes it extremely difficult for a wrestler to score a successful takedown. A coach though should emphasis on cutting the corner and creating angles, which allows a wrestler to penetrate their opponent’s solid stance. Very similar to boxing, a boxer’s most effective strikes come from creating angles. Standing in front of their foe, most boxer’s punches will be deflected but if they turn the corner and penetrate their opponents’ defense, it allows a fighter to effectively increase their significant striking. Wrestling footwork is similar to boxers and when athletes are making the leap into mixed martial arts, wrestlers have transitioned into MMA smoother than probably any other martial art discipline. Hand control is one of the essential skills in wrestling. Standing up, Hand control can be used as a setup for a takedown and also used to counter an opponents takedown attempt. While grappling on the canvas, hand control can dictate the pace by defusing your opponents escape attempts or if they’re on top, it can prevent further advancements by an opponent. This drill can help wrestlers understand the importance of wrist and hand control. Josh Barnett, Hand Control Passing: Jiu-Jitsu Magazine, Issue #33. Way before the public knew of him, Josh Barnett usually found himself in a fight. 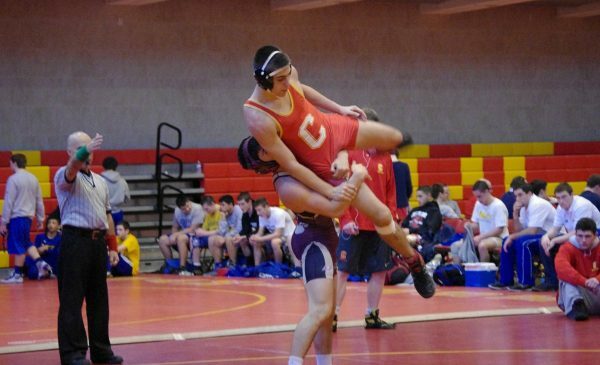 Finding wrestling in high school, he fell in love with the sport in all of it’s many facets and is a true ambassador of the catch as can style. 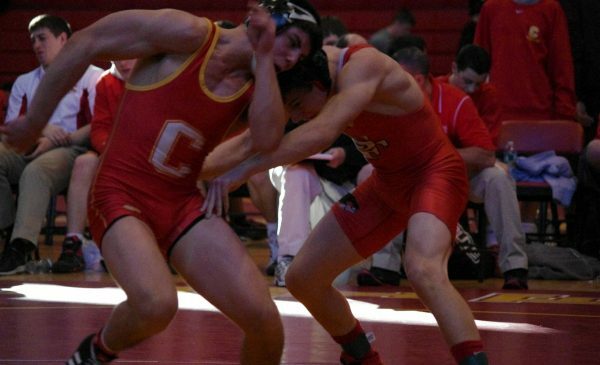 Throughout all levels of wrestling, an athlete with high-quality hand control will win a greater number of their matches. The hand control that you learn in wrestling will transition into Jiu-Jitsu, as well as clinching in MMA. Hand control in MMA is crucial when defending takedowns, submissions, and when trying to transition positions. Being able to slide into half-guard to side control, and full mount an opponent requires hand control. For information on purchasing this entire video, go to: http://www.championshipproductions.com/cgi-bin/champ/p/Wrestling/Hand-Fighting-from-the-Bottom-Position_WRD-04861B.html?mv_source=youtube with Russ Cozart, Brandon (FL) HS Head Coach; 2014 National Wrestling Coach of the Year.In this presentation, Coach Cozart shows you a hand-fighting drill sequence that has helped his wrestlers become warriors from the bottom position. Brandon High School head coach, Russ Cozart, teaches his athletes the “Crazy Hands” drill to train them to defend against an opponent trying to lock their hands from behind. By keeping their arms tight to their bodies and feeling where the opponent’s hands are, wrestlers can avoid being wrapped up. When it comes to grappling in MMA, I will always give the advantage to the fighter with a wrestling background, unless they are competing against a fighter with a superior Jiu-Jitsu background. Even though wrestlers don’t submit each other, they are placed in very similar positions and can adapt to these submissions with a little knowledge. Wrestling is a faster pace sport than jiu-jitsu, and much more aggressive. Many times this works to a fighters advantage but like anything in every sport, there are the exceptions. Wrestlers grow up working on hip control of from the top, applying pressure, the aforementioned hand control, and transitional wrestling. Hip control is crucial in MMA when a fighter takes an opponent’s back it is critical that they understand when they become high, sliding to their hip, and not applying pressure. If a fighter gets high on his foe’s back, the fighter underneath can tripod and shake the top fighter off, causing the top guy to lose position. When a fighter is riding someone’s back and allows his hip to slide down to the side touching the grown, it will open the possibilities of being countered exponentially greater. While riding, the top person wants their hips up off the ground, pinching their thighs tight to the body of the person underneath. Being able to sneak a leg hook in will help control the bottom person and allow the opportunity to attack with submissions, for example, the Rear Naked-Choke, a common submission used with leg hooks or body locks. Catch Wrestling: Leg Rides to Banana Split & Wrestlers Guillotine: Snake Pit U.S.A. When applying pressure on top it exhausts the person underneath, breaking them down to the canvas and opens up opportunities to finish the match or fight. Pressure is created with heavy hips and by staying on your toes while on top driving into the other person. Scrambling has become an art for NCAA wrestlers and is used in MMA when escaping from the bottom or fighting for position. A crazy scramble will always get the wrestling fans out of their seats, similar to the scramble during the 174-pound NCAA national championship finals between Mark Hall of Penn State and Zahid Valencia of Arizona State. Watch as Arizona State sophomore Zahid Valencia defeats Penn State’s Mark Hall during the 2018 NCAA Wrestling Championships in Cleveland, Ohio. Valencia becomes the 11th national champion in ASU history and the first since Anthony Robles & Bubba Jenkins in 2011. One fact about wrestling which makes it stand out above the rest of the martial arts disciplines is the consistent level of competition. Once a wrestler reaches the high school level, a great amount of American high school’s has a wrestling program. 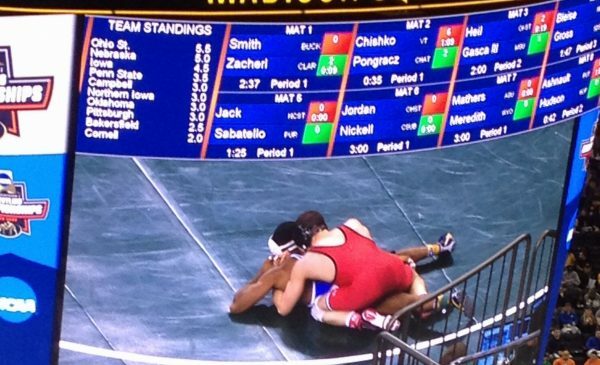 High school wrestling varies from state to state, but the competition continues to increase. In state tournaments, the wrestlers competing are all individuals that have dedicated themselves to the sport and/or they are gifted athletes that have raw talent and usually excel at other sports, as well. NCAA wrestlers are the perfect athletes to transform into MMA fighters. If a wrestler can acquire a decent level of striking, they’ll be able to compete at a top level in MMA and gradually evolve while training. Bellator MMA has done a wonderful job of acquiring athletes graduating from high-level NCAA wrestling programs. One name that comes to mind is Ed Ruth. Ruth was a three-time national champion that decided to choose the path of MMA after college. Before jumping right into the cage, Ruth took time to cross-train while he was preparing for the 2016 Olympics. Scott Coker allowed him to compete towards making the USA Olympic Wrestling team and now is a current 4-0 Middleweight/Welterweight in Bellator. When competing against the best consistently, it elevates wrestlers to a degree that jiu-jitsu artists may not understand because many of their athletes are non-athletes walking in off the street (not to take anything away from Jiu-jitsu), wrestling is clearly the best base for becoming a mixed martial artist.